Halfway between Altoona and Johnstown lies the oldest bridge to span Norfolk Southern's Pittsburgh Division. 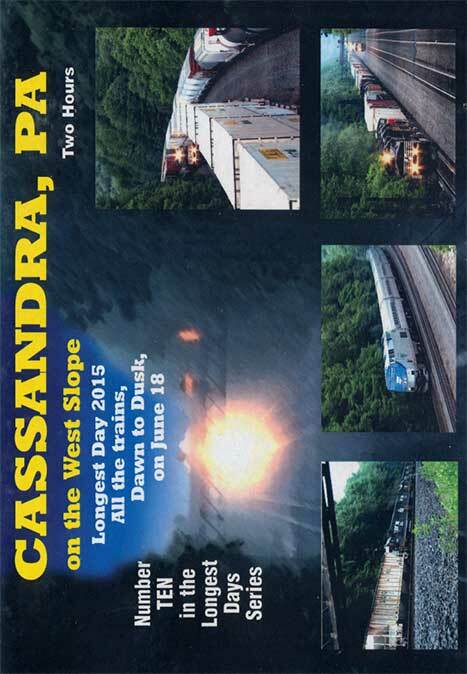 Compared with Horseshoe Curve some 14 miles to the east, the West Slope offers reduced grades of 1.15%, and straight-aways allowing for fast paced westbound action. 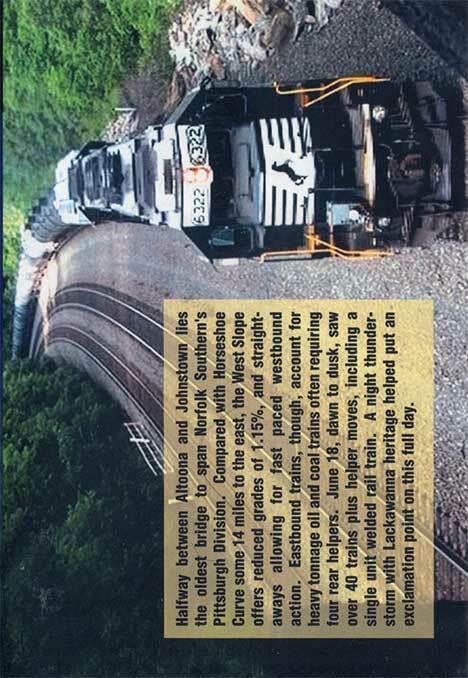 Eastbound trains, though, account for heavy tonnage oil and coal trains often requiring four rear helpers. June 18, dawn to dusk, saw over 40 trains plus helper moves, including a single unit welded rail train. A night thunder-storm with Lackawanna heritage helped put an exclamation point on this full day.